The New York State Department of Environmental Conservation has successfully prosecuted its first shark fin trafficking case since a ban on the possession of shark fins went into place last year. Working in tandem with the United States Fish & Wildlife Service, the agency has imposed a $10,000 fine on a Brooklyn-based seafood retailer found to be illegally selling shark fins. "Not only is the practice of finning a shark inhumane, but it negatively impacts the natural balance of the oceanic ecosystem. We will not tolerate shark fin trafficking in New York State," DEC Acting Commissioner Marc Gerstman said in a statement. In October 2014, authorities were tipped off to a large shipment of dried shark fins landed at John F. Kennedy International Airport destined for Brooklyn-based Long Quan Seafood Corp. Possession of shark fins is illegal in New York state; the shipment in question included fins from several protected shark species. 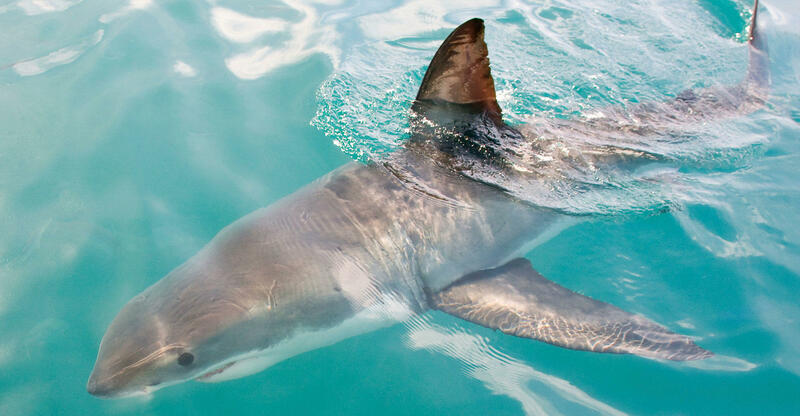 Federal law currently prohibits the removal of shark fins from live sharks (a controversial practice known as finning), but only a handful of states have laws on the books that prohibit the sale of shark fins. Earlier this summer, Texas became the most recent state to ban the sale of fins. Shark fins are a highly valued commodity in Asia; they are an essential ingredient in shark fin soup, and have traditional medicinal applications. Shark finning is a highly controversial practice -- some shark finners rip the fins off of sharks and release the incapacitated animals back into the ocean, unable to swim. The Save our Seas Foundation estimates that up to 73 million sharks are killed annually as part of the international shark trade.